Could South Korea become the first Asian country to legalise medical cannabis? Foreign citizens will now be allowed to import approved cannabinoid-based products if there are no alternatives. South Korea could become the first East Asian country to legalise medical cannabis products. In October, South Korea’s National Assembly voted to approve amendments to the Act on the Management of Narcotic Drugs, allowing the bill to pass its preliminary stages, paving the way for non-psychoactive medical cannabis products to be prescribed by doctors. The bill initially allows foreign patients with rare and incurable diseases, who do not have alternative medicines, to import and use approved cannabinoid-based drug. While there will still be heavy restrictions on medical cannabis, the bill is being viewed by advocates as a breakthrough, challenging the country’s traditionally conservative social identity. Some advocates believe this will be the first, not last, step, eventually leading to a wider range of approved products. Patients would need to apply to the Korea Orphan Drug Center, which facilitates patients with exceptional cases access to rare medicines in the country. Just like in the UK, which recently published guidelines legalising medical cannabis for a very restricted number of patients, approval for medical cannabis products would be granted on a case-by-case basis. Patients would also need a prescription authorised by a specialised medical practitioner. Cultivation of both hemp and cannabis will remain prohibited, as well as importing the raw flowers from the plants. The progression of medical cannabis overcame a massive hurdle over the summer, winning the support of the Ministry of Food and Drug Safety, who approved a small number of internationally recognised cannabis products from pharmaceutical medical cannabis companies, including GW Pharmaceuticals and Tikun Olam. Available products would include: Sativex, Epidolex, Marinol and Cesamet, which would be allowed to be used for epilepsy, side-effects of chemotherapy treatments and symptoms related to HIV/AIDS. It might be worth noting that these products contain a ratio of high CBD and low amounts of THC (the psychoactive cannabinoid which gets you high). In anticipation of legislative change, members from the Korean Cannabis Association met with representatives from Tikun Olam and York Bridge Capital in Los Angeles on July 11th, to arrange the supply of high quality medical cannabis. “The Korean Cannabis Association is working diligently with the Korean Government and the Korean FDA to legalize medical cannabis in Korea. “There is no doubt that medical cannabis can benefit a wide variety of the most serious illnesses affecting human health. “We are delighted to be working with the Korean Cannabis Association, Tikun Olam and key thought leaders in Korea to bring all of the benefits of medical cannabis to those patients most in need in Korea. “In legalizing medical marijuana and implementing legalisation in a thoughtful manner, Korea has the opportunity to be a global leader in medical cannabis treatment of the world’s most serious illnesses”. While medical cannabis might soon be legal for patients in South Korea, those who have travelled to Canada (which recently legalised cannabis in its entirety) have been banned from using it. South Korea may be the first to legalise medical cannabis products, if it passes the bill quickly. Other Asian countries, including Thailand and Malaysia, are also looking at passing similar acts. According to a Thai official, a draft bill now under consideration proposes allowing medical cannabis products. Last year, Rangsit University founded a research team to study cannabis’ medical properties and potential, securing permission from Thailand’s narcotics-control board to create a cannabinoid-extracted spray for cancer patients. In April, the university’s rector called on Thailand’s military leaders to legalize medical cannabis. 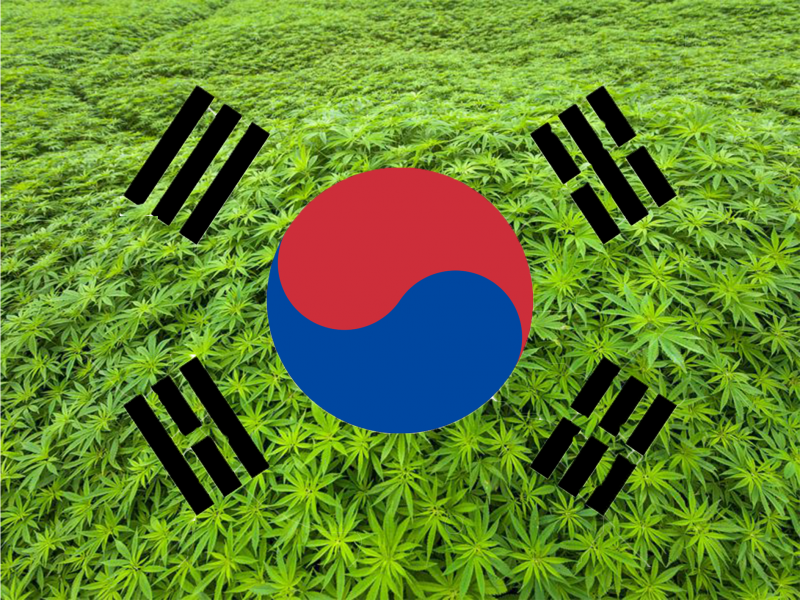 “South Korea legalizing medical cannabis, even if it will be tightly controlled with limited product selection, represents a significant breakthrough for the global cannabis industry. With more and more countries around the world legalising cannabis for medical purposes, the UK could be left behind. While the Government announced on 1 November that patients can now legally access medical cannabis, the reality is far from it. Parents of severely epileptic children are unable to secure prescriptions, leaving their children to suffer while waiting.